Now, there’s yet another shiny bauble to distract us from the meat of Miller’s follow-up to a right-wing zealot punching mummies. According to The Hollywood Reporter, DC Comics will include a 16-page mini-comic with every issue of The Dark Knight III: The Master Race. 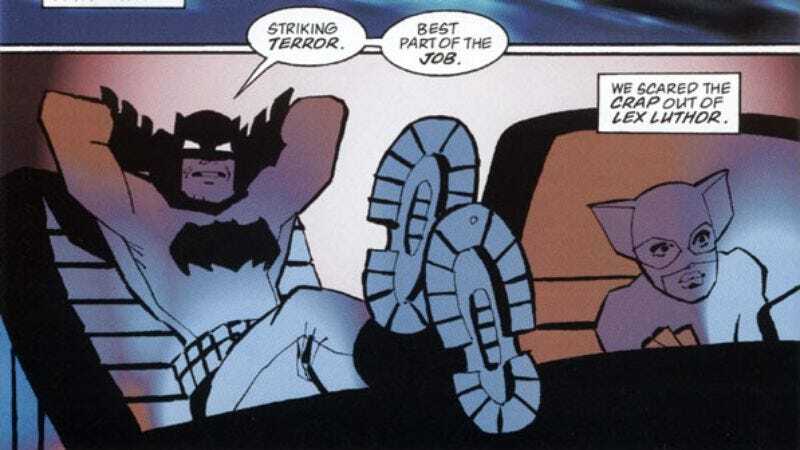 Illustrated by a number of guest artists yet to be announced, the mini-comics will tell stories about the various other characters in the Dark Knight universe. There’s no word yet on what the main comic storyline will be, but with ”The Master Race” in the title, there will undoubtedly be plenty of material for Alan Moore to make fun of again.